Puyo Puyo Tetris is PC bound! 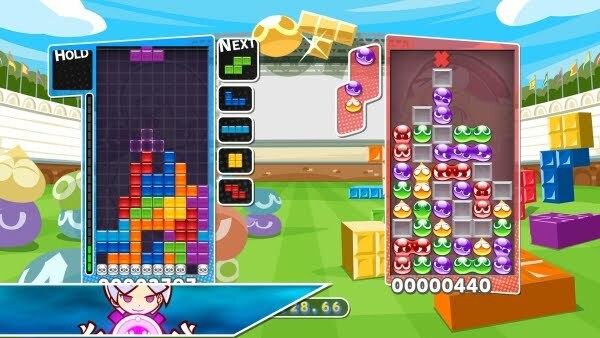 Puyo Puyo Tetris was one of the first Nintendo Switch games to be so absolutely delightful that you’re a horrible person if you don’t own it. It was also released on the PlayStation 4, but let’s face it, it was the ideal Switch release, and by all accounts it was a success on that platform. The game releases on PC on February 27. It’s worth pre-ordering, too, because you’ll get exclusive wallpapers and avatars for doing so. The PC version is also being optimised for PC with scalable resolutions and mouse-driven menu systems, so it should be every bit as enjoyable on PC as it is on console. I’ve been all over Layers of Fear since its initial preview run on the Xbox One, following through its original release on that console. Since then, it’s been released on other platforms and DLC was launched... but there was one gaping hole. Ever since the Nintendo Switch came out, there’s been no Layers of Fear. But Bloober Team is set to fix that with Layers of Fear: Legacy, a digital-only title for the Switch. Layers of Fear is a first-person psychological horror game that follows an artist through his insanity to finish his masterpiece. It is eerie and highly atmospheric, with the artist’s delusions presenting themselves through environmental shifts. The developers at Bloober have “remastered and redesigned [the game] to be a unique offering in the Nintendo Switch horror genre portfolio.” It includes the DLC available for the original title, Inheritance. The big question looming over my head is simple: can something meant to be so atmospheric really create fear on such a small screen? We’ll find out when Layers of Fear: Legacy is released exclusively on the Switch on February 21. Good news for anyone who likes fighting games, My Little Pony, or both: Them's Fightin' Herds will be out in just a few weeks, on February 22. This is the game that began life as a My Little Pony fan-game called My Little Pony: Fighting is Magic, before a cease and desist from Hasbro put the project on hold. Them's Fightin' Herds takes the same idea — cute, magical cartoon animals duking it out in a one-on-one fighting game — but with original characters and stories. That said, Lauren Faust is one of the creative leads on the game. She's the creator of My Little Pony: Friendship is Magic, so even if this isn't a licensed game, you can still expect the same cute animation and character designs. Don't let that fool you into thinking this isn't a deep, robust fighting game, though; Them's Fightin' Herds is made using the engine that Lab Zero created for Skullgirls. It has GGPO-based netcode (that's good) for online multiplayer, and a range of single-player game modes, including an episodic story released through free post-launch updates. Along with the release date, developer Mane6 announced a collaboration with Arc System Works, with a few different cosmetic items for the "Pixel Lobby" available. At launch, anyone who owns Blazblue: Central Fiction on Steam will get Jin and Ragna cosplay cosmetics, anyone who owns Guilty Gear Xrd REV2 will get Sol Badguy and Ky Kiske's hair and outfits, and anyone who owns Skullgirls will get Cerebella's Hat Vice Versa and Peacock's Hat and Bomb minion George. The indie world has been abuzz ever since the announcement of Ken Wong’s next title, Florence; it comes from the new development studio, Mountains. Wong’s name may not be recognizable at first, but you’ve definitely heard of, if not played, his smash hit title Monument Valley. Florence herself is the protagonist in the new title, which tells of her love story with cello player Krish. In my opinion, love stories shine as mobile titles because you carry it with you and continue to participate while away from your computer or console. Florence falls into that category easily, with the love between Florence and Krish being told through mini-games and interactive vignettes. It’s her first love so there is bound to be ups-and-downs along the way. 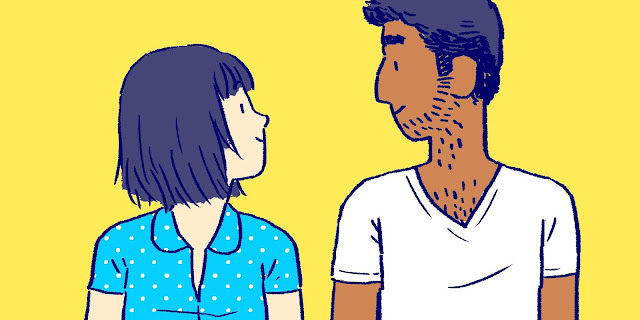 Florence will be launched for iOS on Valentine’s Day (February 14). It’s a premium title, priced at the completely reasonable amount of $2.99 USD.